"Pitha" is a winter delicacy in the land of Bangladesh. 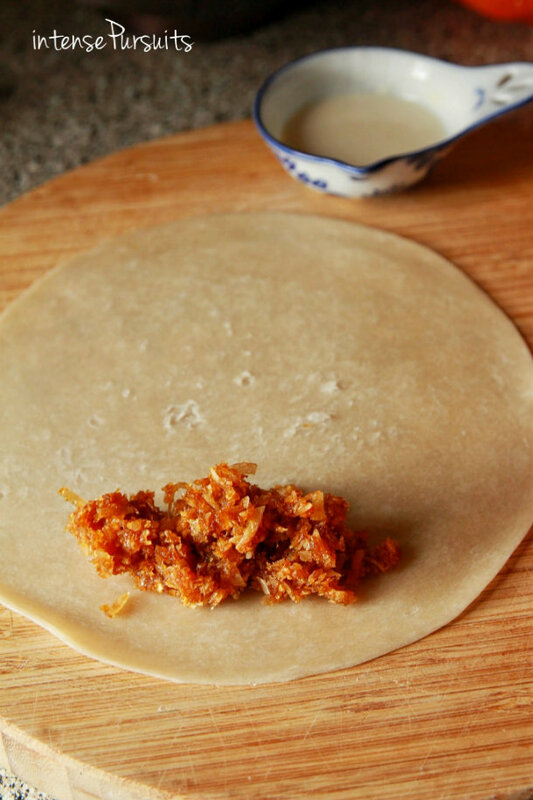 It is most often made with rice flour/milk/jaggery/coconut. Some are steamed while some are fried. There is an endless variety of "pitha' stemming from different sects of the country. 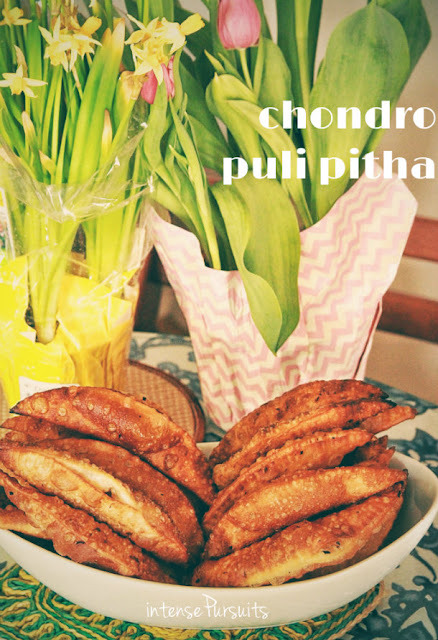 This particular "pitha" called the chondro puli is a pastry shell stuffed with a jaggery+coconut concoction and then deep fried. There is another version where the shell is soft and steamed like a dumpling. The name refers to the "pitha" as being moon-shaped. I made the chondro puli pitha for a potluck gathering of friends and instead of making the shells from scratch I used a little trick I learned from my sister. It is to use store bought uncooked flour tortillas! Heat a pan at medium low heat. Mix the frozen grated coconut with the jaggery in the pan. When it is well mixed, add the coconut flakes and the salt. 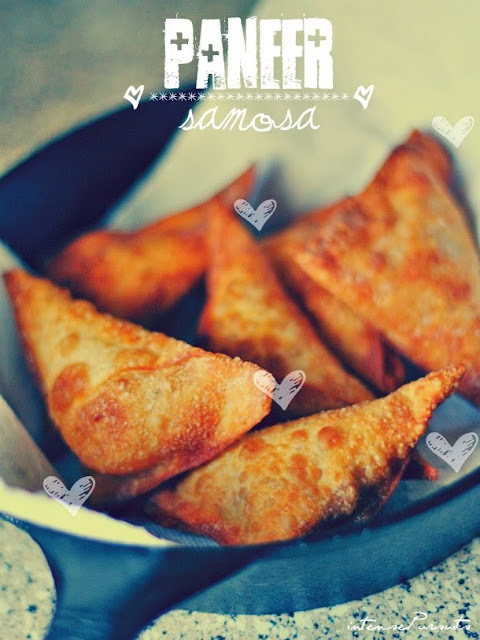 You may choose to make it sweeter by adding more jaggery or molasses. There will be some moisture from the frozen coconut. Stir this mixture in the heat until the moisture evaporates and the mixture becomes dry and sticky. Take it off of the stove and let it cool. 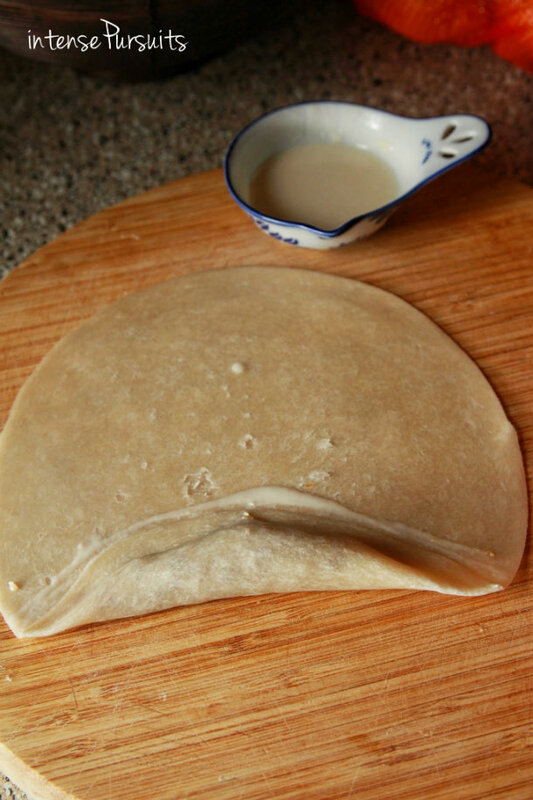 Take one uncooked tortilla and place the coconut mixture in one corner. One tortilla will give three shells. So you need to keep space for the other two. Use the flour glue to wrap and close the shell. You know you got it right when it looks like a half moon. Make sure to close the shell well otherwise it will open up during frying. 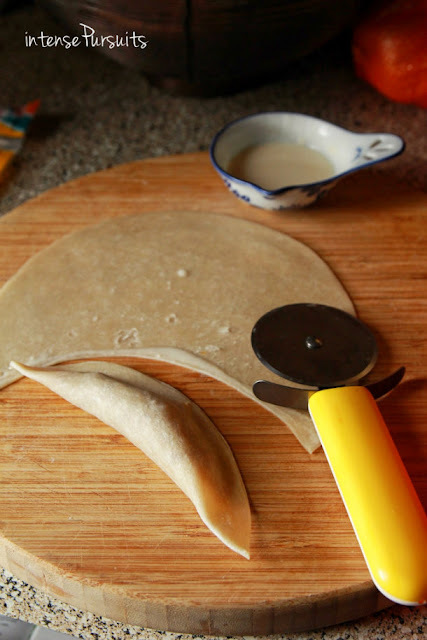 Using a pizza cutter, cut out the "pitha". 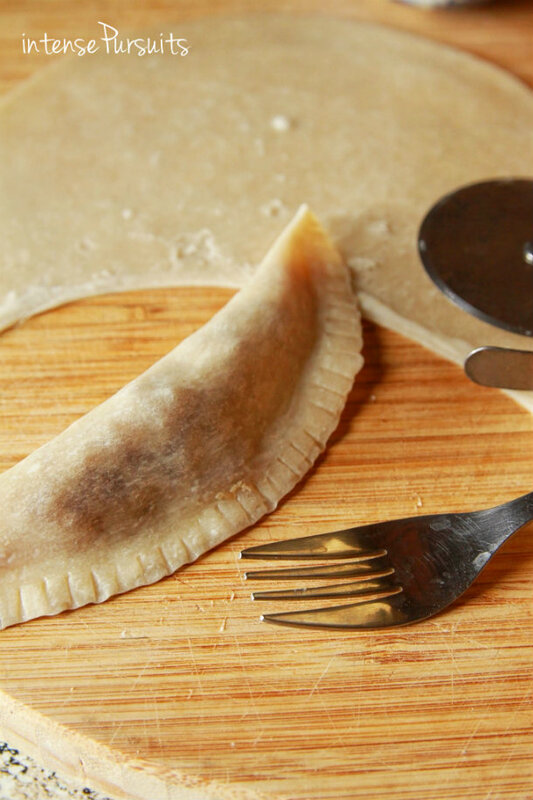 Using a fork press down the edges of the "pitha" to close it tightly and give it a little decoration. Heat oil in a pan enough so that the "pitha" is submerged while frying. 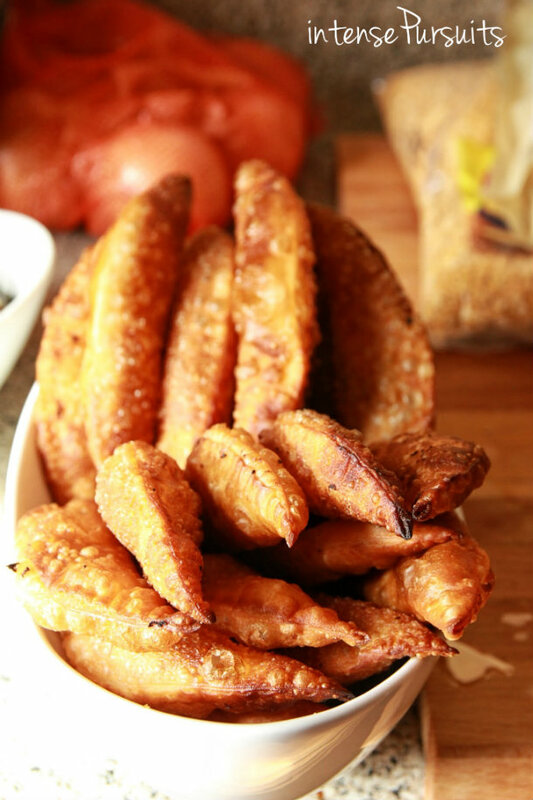 Fry at medium high heat since everything is cooked and the "pitha" needs to be extra crispy. When you bite into a hot one right out of the frying pan it should make a crunch sound since the shell will be so crispy but then immediately the soft sweet coconut mixed in with the jaggery will melt in your mouth. Bon appetit!